A Newry student has won a place on a leading graduate programme delivered by Willis Insurance & Risk Management and South Eastern Regional College (SERC). 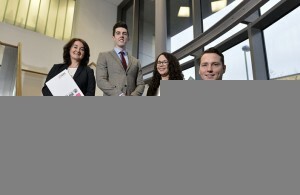 Owen Finnegan, a law graduate from Camlough is taking part in the worked-based learning programme which aims to build the management skills of students and open a pathway to employment within the insurance sector. 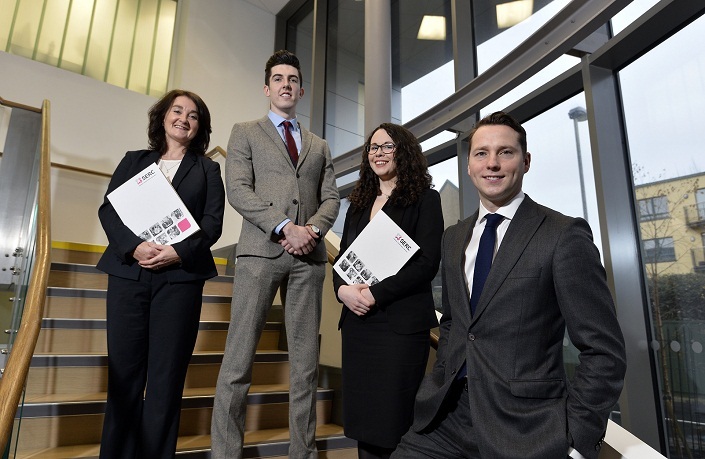 Willis IRM, which delivers insurance services across all sectors, in addition to a range of wealth management, accident investigation, health and safety, and employment law services, has employed two students at its Belfast headquarters with a third to start later this year. Owen and Belfast modern languages graduate Maeve McKavanagh are working at the company as Business Support Executives. They are taking part in SERC’s Entry to Management graduate programme, funded by the Department for the Economy, which allows students to continue their studies while developing business leadership skills in a workplace setting along the way.